Why Is It Called Six Sigma? 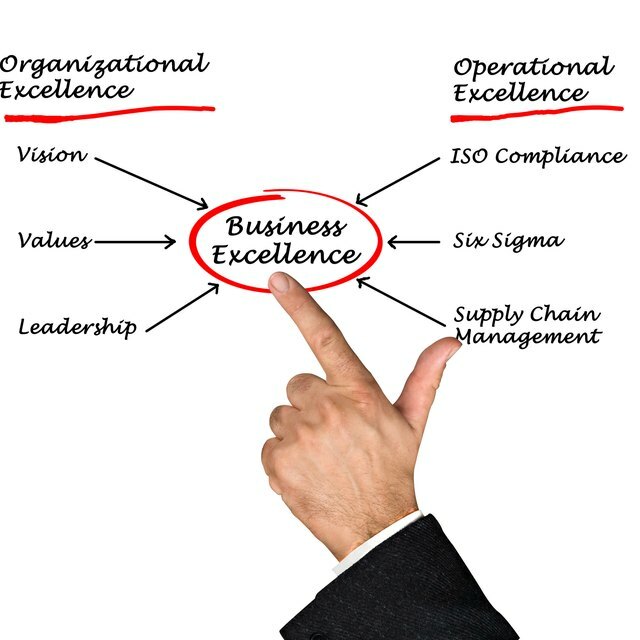 Six Sigma refers to an approach and set of tools designed to drive improvements in business processes. Six Sigma uses the DMAIC (Define, Measure, Analyze, Improve, Control) approach to find out what is causing defects within a given process and to determine what changes are necessary to make it work better. But why is it called Six Sigma? In statistics, Sigma is the Greek letter representing standard deviation. Standard deviation measures the amount of variation within a set of data. If the data set is "normal", meaning that the values within the data set are split above and below the data set's average, the standard deviation is helpful in describing how spread out the data are. For example, a data set that contains values ranging from 10 to 100 will have a higher standard deviation than a data set that contains values between 30 and 40. In a normal data set, a variation of one standard deviation above the mean will include 84.1% of the total population below that value. Expanding that to two standard deviations increases that to 97.7% of the population. Going one standard deviation further increases the data points included to 99.85% of the population. Taking this scenario out to 6 standard deviations above the average yields a calculated value of 99.9999998% or 2 parts per billion. In simple terms, this means that a process functioning at this level will yield only two defects for every billion items produced. Two parts per billion is a lofty goal to say the least, especially when we know that there is inherent variation within any process. The "godfather" of Six Sigma, Mikel Harry, understood that it is normal for a process to vary as much as 1.5 standard deviations in either direction. For that reason, the upper threshold of defects in a six sigma process is actually considered to be 3.4 parts per million. This is the value associated with the 4.5 standard deviations to the right of the average. So Where Did the Six Sigma Concept and Name Come From? In the 1970s Motorola products suffered from serious quality issues. This was highlighted when a Japanese company took over a plant previously run by Motorola and managed to produce television sets with 1/20th the number of defects. In 1981 Bob Galvin, CEO of Motorola, challenged his company to improve quality and performance by a factor of 10 within five years. Out of that challenge, Mikel Harry developed the DMAIC approach and the structured problem-solving approach known as Six Sigma. The name Six Sigma was assigned to that approach based on Motorola's objective to reach six standard deviations within their manufacturing processes.